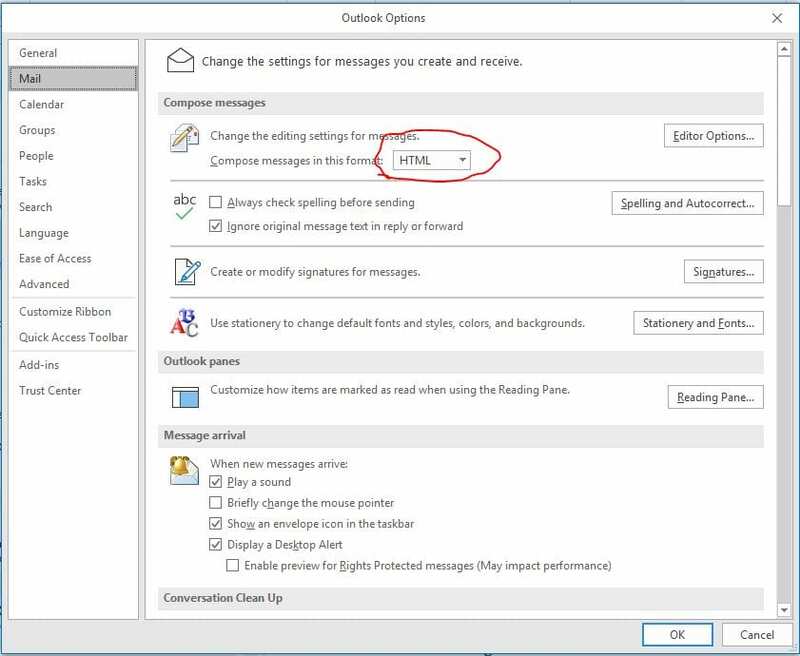 How to Fix Recipients Receiving winmail.dat files from Outlook 365 - Houston Web Design and Hosting, Inc.
I’ve had an ongoing problem with my email recipients receiving winmail.dat files when I send them emails from Outlook using my Microsoft 365 email account and I’ve tried multiple ways of fixing the problem. I read that the problem is caused by Outlook sending emails in Rich Text Format (RTF). It includes the winmail.dat file invisibly to help preserve the formatting, but non-Outlook email clients can’t interpret the file, so all they see is the winmail.dat file. 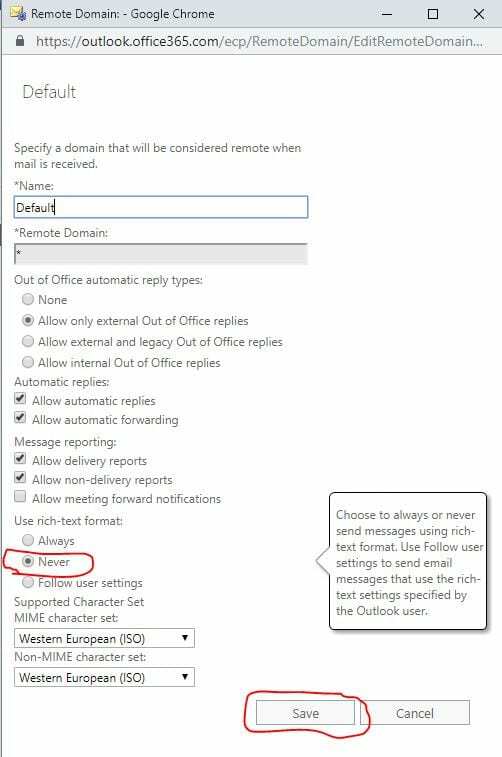 Numerous sources said to go to Outlook>File>Options>Mail and change Compose messages in this format: HTML. It didn’t help. I tried modifying the recipient’s entry in the Personal Address Book, but I couldn’t find that option, I assume because the latest version of Outlook for Microsoft 365 did away with it. I finally gave up and called Microsoft support and got an answer. This finally took care of my problem. 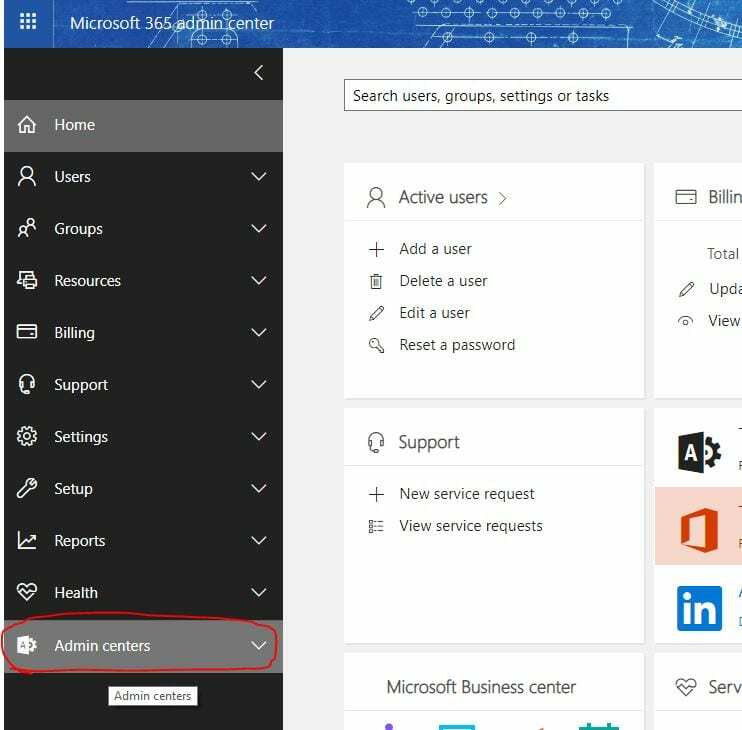 Login to your Office 365 admin account at https://admin.microsoft.com and then click on Admin centers on the left sidebar navigation. Click on Admin centers. (I know, it seems redundant doesn’t it?) Next, click on Exchange under Admin centers. Click on rules under the mail flow section. Click on remote domains, then click on the pencil icon to edit the Default rule. Finally, on the Remote Domain screen, click on Never under Use rich-text format. Click the Save button and your winmail.dat troubles are over! I was told that if you wanted to change this setting for just one domain, you could do that too. Just click the + to add a new rule instead of the pencil to edit the default.